Benjamin Graham taught that Intelligent Investors must do a thorough fundamental analysis of investment opportunities to determine their intrinsic value and inherent risk. This is best done by utilizing a systematic approach to analysis that will provide investors with a sense of how a specific company compares to another company or by reviewing the 5 Most Undervalued Companies for the Defensive Investor – June 2015. By using the ModernGraham method one can review a company’s historical accomplishments and determine an intrinsic value that can be compared across industries. What follows is a stock analysis showing a specific look at how Starwood Hotels & Resorts Worldwide Inc. (HOT) fares in the ModernGraham valuation model. Company Profile (obtained from Google Finance): Starwood Hotels & Resorts Worldwide, Inc. is a hotel and leisure company. The Company’s hotel business is focused on the global operation of hotels and resorts primarily in the luxury and upper upscale segments of the lodging industry. The Company owns Starwood Vacation Ownership, Inc., a provider of world-class vacation experiences through villa-style resorts and privileged access to Starwood brands. It manages and operates its hotel business in three hotel segments: the Americas, Europe, Africa and the Middle East (EAME), and Asia Pacific. Its vacation ownership and residential business is a separate segment. As of December 31, 2014, the Company’s hotel business included 1,207 owned, managed or franchised hotels with approximately 346,600 rooms, comprising 36 hotels that it owns or leases or in which the Company has a majority equity interest, 583 hotels managed by the Company on behalf of third-party owners and 588 hotels for which it receives franchise fees. Starwood Hotels & Resorts Worldwide Inc. does not qualify for either the Defensive Investor and the Enterprising Investor. The Defensive Investor is concerned with the low current ratio, the insufficient earnings growth over the last ten years, and the high PEmg and PB ratios. The Enterprising Investor is concerned with the level of debt relative to the current assets. As a result, all value investors following the ModernGraham approach based on Benjamin Graham’s methods should explore other opportunities or proceed with a speculative attitude. As for a valuation, the company appears to be overvalued after growing its EPSmg (normalized earnings) from $2.00 in 2011 to an estimated $3.06 for 2015. This level of demonstrated earnings growth does not support the market’s implied estimate of 9.51% annual earnings growth over the next 7-10 years. As a result, the ModernGraham valuation model, based on Benjamin Graham’s formula, returns an estimate of intrinsic value falling below the price. The next part of the analysis is up to individual investors, and requires discussion of the company’s prospects. What do you think? 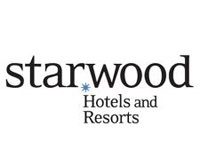 What value would you put on Starwood Hotels & Resorts Worldwide Inc. (HOT)? Where do you see the company going in the future? Is there a company you like better? Leave a comment on our Facebook page or mention @ModernGraham on Twitter to discuss.